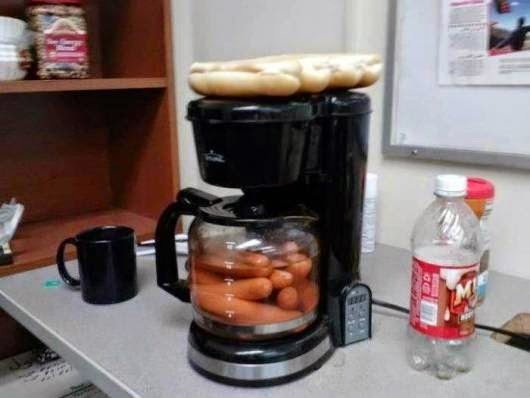 It's got to be the most novel way of making hot dogs. The dogs in the water, and the buns on top. Where do you put the kraut?